$2210 | $1700 | Call! $2574 | $1980 | Call! $2730 | $2100 | Call! $3380 | $2600 | Call! 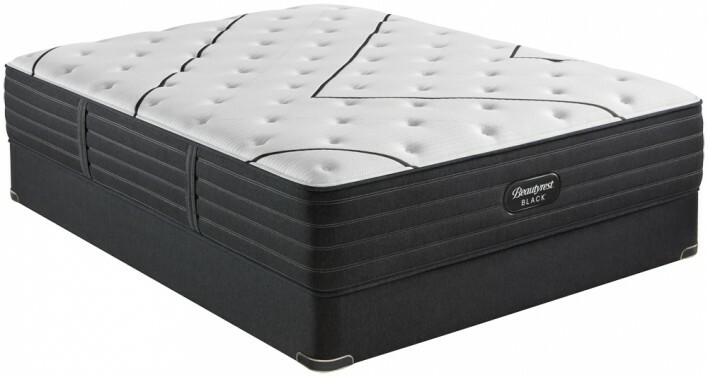 The New Simmons Beautyrest Black L-Class Medium Mattress features Simmons most advanced technologies including deep cushioning, conforming memory foams and the new BlackICE 4.0 cooling cover. 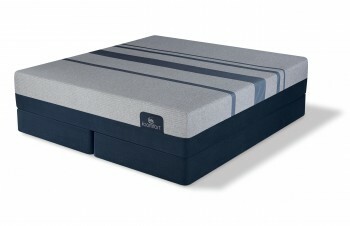 This mattress provides a perfect medium feel that is great for most people. If you are looking for a mattress that contours the curves of your body while providing medium firm underlying support this would be the perfect choice for you. 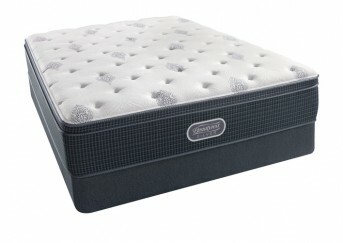 Choose a Beautyrest Black mattress and be more awake, refreshed, and energized every day. Categories: 2019 Black, Comfort Level 40, Luxury Firm, Mattresses, Simmons. The New Simmons Beautyrest Black L-Class Medium Mattress is more than a mattress, it’s a haven for deep, restorative sleep that inspires your senses. The Beautyrest Black experience goes beyond mere comfort. It creates a restful escape where sleep is the ultimate luxury. T3 Pocketed Coil®- Exclusively made for the Beautyrest Black mattresses, These high-carbon steel springs are triple strand-wrapped, pre-compressed and placed into a durable, yet soft non-allergenic fabric individually. What that means to you is increased strength, motion separation and conformability that creates indulgent comfort to withstand the test of time. BlackICE™ 4.0- Introducing Beautyrest’s most advanced cooling cover yet. Through research and development, Beautyrest has created a mattress cover that cools in 4 ways. At the surface it is cool-to-the-touch. Just beneath the surface cooling materials enhance heat dissipation. SilkAir fiber prevents and wicks away heat build up. The addition of silver particles draws heat from your body so you can sleep cool and comfortable throughout the night. Comfort Foam - Comfort Foam is made in varying levels of softness (extra firm, firm, medium, plush, etc.) to create comfort preferences for all comfort levels. Energy Foam - Energy Foam is a very durable firm foam that is utilized in the comfort layers and beneath the coil system to provide a supportive, sturdy foundation for the no-flip mattress design. Beautyrest® Gel Memory Foam – Is a premium memory foam combined with gel to provide incredible pressure relief and motion separation.